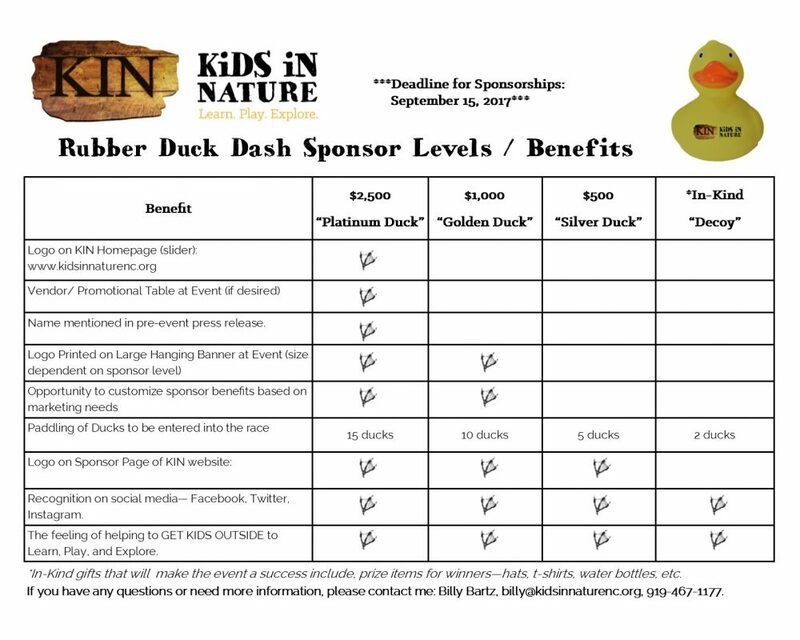 On Saturday, April 21, 2018, Kids In Nature (KIN) will host our 1st Annual Rubber Duck Dash at Falls of Neuse Canoe Launch (12098 Falls of Neuse Road). YOU are invited to be part of the KIN Rubber Duck Dash! We are seeking sponsors to help make this event possible. Will you support our mission? 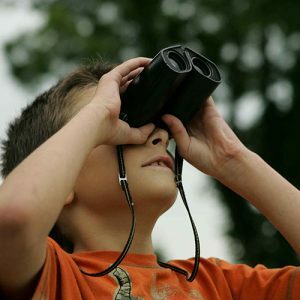 Sponsors allow us to provide opportunities for all kids to get outside. Next Steps: Please see the Sponsor Benefits sheet (below) for more information. If you’d like to make a difference in the lives of children through sponsorship, please fill out the Sponsor Confirmation form HERE. Deadline for sponsorship is March 15, 2018. What’s a Rubber Duck Dash? A Rubber Duck Dash is a rubber duck race. Anyone can adopt a duck or a paddling of ducks. On the day of the Dash, the ducks will go into the Neuse River and race along a short course. There will be prizes for winning teams and individuals.